Located just 1 km from popular Oura Beach and the lively Oura Strip, this Algarve apartment is in Albufeira. 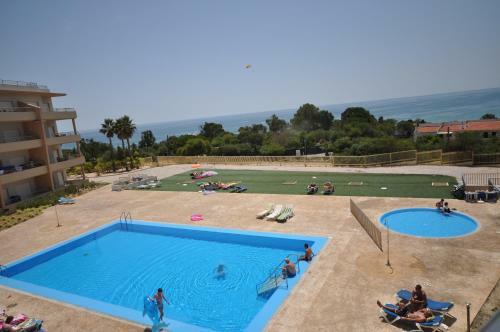 It has access to an outdoor swimming pool and is 500 metres from nearby Aveiros Beach. Overlooking Fisherman’s Beach, Turial Park is a sea-facing apartment complex, set in Albufeira’s historic centre. All studios and apartments include a kitchenette with kitchenware and a lounge with seating area. En suite bathrooms are standard.